Renewing your CDRS just got easier! Announcing on-line renewal form, now available! 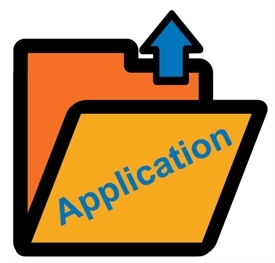 Certification Renewal Process Information and Application for Renewal Candidates with Certification Expiring on December 31, 2015 are available HERE. If your certificate expires this year and you did not receive your packet please e-mail us at info@aded.net. A total of 30 contact hours, approved by ADED, are required for certification renewal. Paper renew packets still available HERE. Renewals are due November 1, 2015. Hi Matt, If ADED approved, you can use those hours towards CDRS renewal. You are just not allowed to use same course/hours more than once in the same renewal cycle. Please note that o-line learning is limited to 8 hours for renewal. You can confirm whether the course is approved by ADED by checking the Approved Contact Hours listing on this page: https://www.aded.net/page/225. Ann Shanahan says that the link below https://behindthewheelwithadhd.com/product/professional-driving-instructor-and-rehabilitation-specialist-training-webinar/ is approved for 2 and 1/2 hours of aded continuing education units. This is basically the same webinar that I took from her something like 2 or 3 years ago and was used to help me get credit for my recent renewal. Am I able to take it again now for credits for my next renewal? Hi Susan, I'm sorry that you missed the early renewal deadline. We send out renewal packets in the spring to everyone scheduled to renew that year and follow up with regular e-mails at least 60-days out from the deadline. Please be sure to double check your profile and make sure we have both your e-mail and mailing addresses correct for future communications from ADED. It is a shame I didn't realize the deadline was Nov 1. $50 US late fee is pretty steep since I just paid my membership dues of $135. I may as well wait another couple of weeks.